When buying a house, the first thing you’ll need to do is consider what you need out of a home. You’ll have to think about what size house you want, how many bedrooms you need, whether you’re looking for a renovated home or a fixer upper, and your price range, for example. You’ll also need to consider which style home is right for you: two-story home or a ranch-style home? Both have unique advantages and disadvantages. It’s important to weigh your options and think about which one better fits your needs. 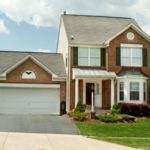 The biggest advantage of looking for two-story homes for sale is that you can fit more house onto the lot. Ranch homes are more sprawling, so you may end up sacrificing part of your yard for a larger house. With a two-story house, however, you can still have a large house and a large yard. Some people see two-story houses as being safer, as well, because most of the time the bedrooms are on the second floor. While all homes are susceptible to break-ins, it’s less likely that someone will break into your bedroom in the middle of the night if it’s on the second floor. The major downside to owning a two-story house is the stairs. Elderly people and parents of young children, especially, will find stairs troublesome, because they can quickly become a safety hazard. Stairs can also be inconvenient, since it’s a pain to have to haul laundry, the vacuum cleaner, or furniture up and down the stairs. Moving day is also particularly challenging for two story homes, since it’s tough to navigate the stairs with mattresses, bed frames, and other large pieces of furniture. When you’re ready to buy a home, your first step after deciding what you need is to contact your a trusted real estate agent. They can help you search for 2-story homes for sale near you, and before long you’ll be moving into your new dream home! Is it the Sign? What do Real Estate Agents Actually Do? Should I Sell My Own Home to Save the Commission?